Modern Stone Care based in Houston, TX, has been maintaining and restoring Houston residential and commercial natural stone and tile floors and surfaces. We specialize in marble, granite, travertine, limestone, slate and all sorts of tile and grout. Modern Stone Care has years of experience in flooring, we pride ourselves on being Houston’s leading marble polishing and restoration company. Our experience, quality of work, expertise and competitive pricing is what makes us the best in the field. Be sure to visit gallery of previous to see more about what we can do for your home! If you have marble floors in your home or at your business location, eventually they will need to be polished. Marble polishing is making old dull marble restore its shine, this is done without using chemicals. To create the shiny finish for slabs or tiles floors can be done using marble polishing machine, it is best to hire skilled, professional and experienced flooring company that know how to apply the right amount of abrasives and use of flooring tools. At Modern Stone Care we are a professional marble polishing company, with trained and experienced technicians. 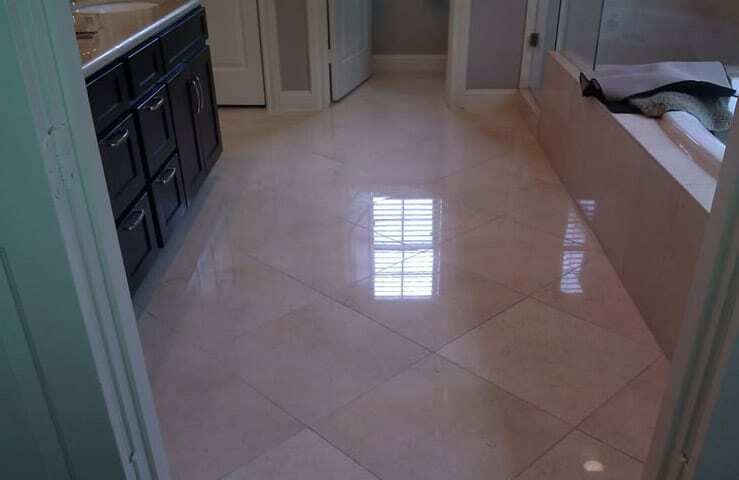 We fully understand the process of polishing marble floors, our marble polishing technicians will come to your home to do an evaluation to get a better understand on how you want your floors polished. After the evaluation we’ll get the proper equipment needed to polish your marble stone. When it comes to polishing marble floors, we want to educate our customers about the best options for floor protection they can have. Modern Stone Care strives for the best for our customers from all the aspects of flooring, from polishing to maintenance and how to help them save time and money from costly repairs and restoration in the future. Learn more about our marble polishing services and see the improvement to your home appearance. Not only will your floors look beautiful now but the value of your home will increase from years to come. Contact the marble specialist at Modern Stone Care.